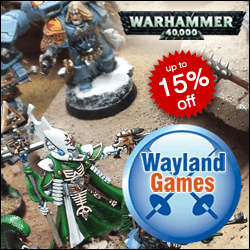 This article on Ravenwing tactics was first featured on Space Wolves Blog in 2015 which due to unfortunate circumstances may be lost to the warp forever. In an effort to retain the information we have republished it here. The original article was written by Rob Hill. The Ravenwing are the elite second company of the Dark Angels. They are a fast and ferocious force with emphasis on speed and manoeuvrability, with an exclusive presence of bikes, skimmers and flyers. The new Dark Angels codex has been kind to the Ravenwing and they represent some of the toughest new units that the Space Wolves will face off against as standard, and when you throw in combination shenanigans with another codices they can get utterly grotesque. 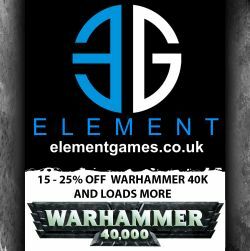 Today however I’m just going to discuss the general strengths of the Ravenwing and what strategies you should consider when you face off against a Dark Angels army with a heavy Ravenwing section or a full Ravenwing army. What will you be facing? A full Ravenwing army will either have to take the Ravenwing specific detachment or will have to take a collection of Ravenwing formations. In reality I would expect that you would only see the use of the detachment with perhaps a formation used in addition to get the benefit of those special rules. The Ravenwing Strike Force detachment allows your opponent to take 3 HQ’s, 10 Fast Attack, 1 Elite and 3 Heavy Support choices. But with all of these requiring the Ravenwing special rule they will be pulling from a considerably reduced pool of units. Most notably here the only HQ with the Ravenwing special rule is Sammael so you can know with certainty that you will be facing him in an all Ravenwing army should their be no comped or house rules in play. All the Ravenwing units with the Jink special rule(so all of them) can re-roll failed jink saves. A 4+ re-rollable is good, but 3+ re-rollable is better which is what the skilled rider Black Knights get as standard. In addition the detachment grants the Ravenwing an amazing special rule. On the first turn (or the first turn they come on if held in reserve with some greenwing on the table) Ravenwing units can turbo-boost and flat out AND count as jinking till the Ravenwing players next turn AND shoot at normal ballistic skill in their next turn. These two rules combined make for a very powerful Alpha strike force that can go hell for leather up the field turn one, using re-rollable jinks to shake off most of the damage and then fire to full effect with its shorter range weaponry on turn 2 before potentially charging the remnant units. This tactic will get particularly nasty against you if they have a couple of Darkshrouds in tow which kick out a 6 inch bubble of shrouding to all friendly units. So they will have a 2+ re-rollable cover save if they are close enough. And with 10 fast attack slots they could have 2-4 of these handy. It is also important to note they have hit and run, so in combat (which I will recommend) you have to do enough damage to really reduce their effectiveness if they escape you. The obvious strength of the Ravenwing is their re-rollable 4+ cover saves. This goes up to 2+ when within 6 inches of the Dark shroud or is a standard 3+ if a skilled rider Black Knight. In addition the ability to move as far as possible first turn will be a key part of their tactic to engage you as much as possible turn 2. The black knights in particular have nasty stasis grenades that can reduce WS and I as well as having plasma talons a short range plasma weapon that needs to be up close. Ignores cover weaponry, preferably AP3 or better will hurt as usual here, ignoring both jink and armour. But now we get into a slightly clouded rules section. It states in the rules you have to use your best save possible. Now a 3+ save is better than a 4+ jink, FACT. But statistically you are more likely to survive with a re-rollable 4+ than a straight 3+. I have heard this argued both ways that you should use the 3+ versus the 4+ re-rollable and vice versa. I personally would be fine with the 4+ rerollable being opted for over the 3+ but in a hard competitive environment I would relent to the other view also. Which way you bend on these rules will effect your strategy. 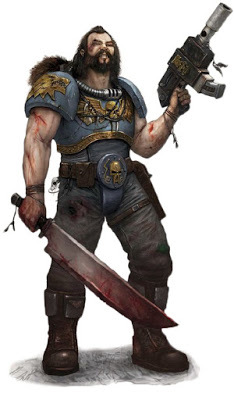 If you enforce they must use the 3+ save in the face of, say, bolter fire, then pouring high AP (4-6) high shot weaponry into them will fell them as well as any other biker over low AP weaponry. If on the other hand you are cool with them choosing whichever they think will give them the best PROBABILITY of surviving (not the same as using the best save) then you are far better meeting them head on and hitting them with your melee units. If they went first then a first turn charge is very likely for you, providing you haven’t sat back deep in your deployment zone. Other than Deathwing their aren’t a great deal of monster melee units in the Dark Angel codex. Ravenwing black knights have a good option in the corvus hammer which is S+1 AP- Rending but that relies heavily on 6’s which can desert you whenever they please. You should have some guaranteed high strength low AP weaponry in a wolves list, it is what your opponent expects and sometimes it is the most obvious and best solution to your problems. Sometimes this will involve stacking up on a single squad to destroy them outright, you needn’t concern yourself too much with being stuck out in the open as with hit and run this is a real possibility anyway against Ravenwing, but if you focus combat as well as focus fire you should be able to remove their units in succession making them a speedy annoyance as you concentrate on objectives. The Ravenwing have a very high durability versus weapons at range that do not ignore cover saves. Much like the Greenwing, keeping yourself in combat mitigates the effectiveness of twin linked bolters or plasma talons as they can’t shoot at you, and making sure that you get the charge of also removes them of their hammer of wrath attacks. It is imperative that YOU charge against them. 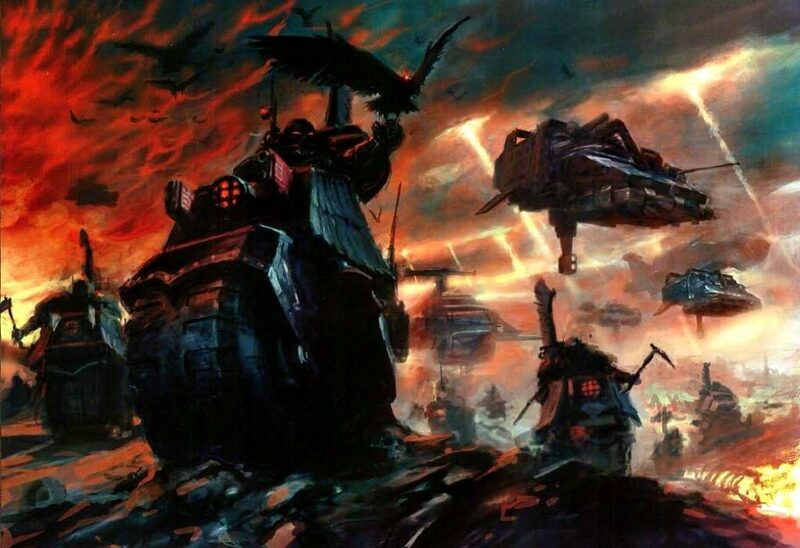 Even with none thunderwolf lists, the Sons of Russ have that general orientation towards combat all over the codex and it should be pushed to the max against Ravenwing. They will seek to use their speed to control the flow of the game, meeting them head on and causing mass damage in combat will stall them. But remember, points win games, some fights are best left alone if you can make more points up grabbing an objective or staying put to hold the line.